As a component of this historic “blunder,” Gibson’s particularly perplexed by the incongruous quiet that has belied an escalating U.S. drug supply-chain dependency on China. Now enter Donald Trump; nothing is quiet about China anymore. Our drug industry should join the public discussion. International politics are rarely discussed in these pages of Outsourced Pharma. 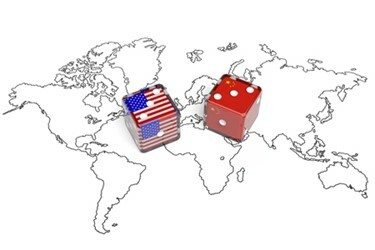 We did, though, wade into the waters with this editorial in April: Biopharma Outsourcing Will Overcome Tariff Troubles. Next came this editorial with Gibson, focused on the growing desire the U.S. public has for obtaining information about exactly where our drugs and their ingredients come from. We want to trust our medicines – and country – are safe. Which brings us to that political nexus. No president has more seriously publicized the reality of China as direct adversary to the U.S. homeland as the current one. The focus so far has been mostly on trade: automobiles and steel, soy beans and agriculture. Yet no industry should be a bigger part of the China conversation than pharma. Already, there have been missed opportunities, as we’ll get to in a moment. Continuous Manufacturing Or Continuous Threat? China’s biopharmaceutical-quality culture is improving, it’s manufacturing technology advancing, and the FDA is working to increase our drug safety, mainly via more audits of Chinese facilities supplying drugs and drug ingredients to the U.S.
Here’s a suggestion: Start holistically in China. The FDA should work this issue until our drug industry informs patients of exactly where their drugs come from. And that brings us back to President Trump. Some of you may see the president as a threat himself; be that as it may. As big as any threat from China is the one to our drug supply, because of the sheer amount of outsourcing we do to China. Yet the biopharma industry remains mute on the subject. So while Trump battles China, more of the R&D, development and manufacturing of our medicines is outsourced to China. 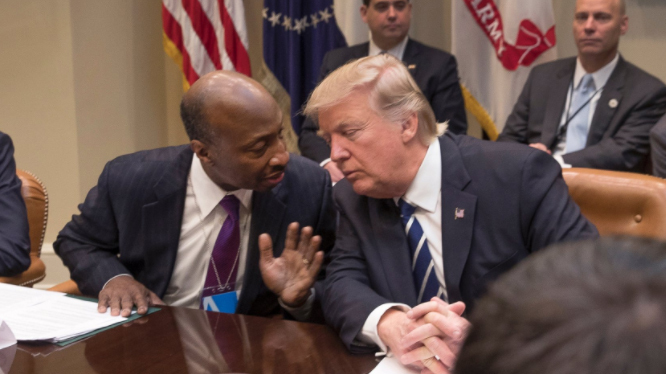 An early opportunity for our industry to work directly with the president was lost when Merck’s CEO, Kenneth C. Frazier, abruptly quit Trump’s business advisory council. This precipitated the leaving of other CEOs, leading to the disbandment of a number of councils. Frazier objected to the way Trump characterized a domestic and racially charged situation. Yet wouldn’t it have been better for Frazier, and other CEOs, to strongly criticize the president as they thought fit – as advisory council members – and wholeheartedly try to get the president to understand their points of view as his close confidants? There’s a final, crucial point here, one I believe Trump knows well, and in “China Rx,” Gibson brings out concisely. Those U.S. companies who think working with China on China’s terms is going to have a long-run benefit, might want to think again. Establishing facilities in China (as demanded by the government) – or outsourcing to development and manufacturing facilities there – purportedly for the future opportunity to sell into the Chinese market may be a fool’s errand. Consider the “Made in China 2025” initiative: It targets the pharmaceutical industry, is a "real existential threat to U.S. technological leadership," according to The Council on Foreign Relations, and is a blueprint for transforming the country into a global high-end manufacturing powerhouse in time for the hundredth anniversary of the founding of the People’s Republic of China in 2049. If our drug-supply reliance on China does not change, U.S. patients may be forced to celebrate as well.